An art performance themed “Winter in Hue” is due to take place at the Hanoi Opera House from December 14-15 as part of art activities to promote preservation of traditional art genres launched by the Ministry of Culture, Sports and Tourism. 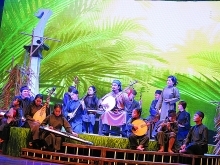 Musician Nguyen Viet Duc, Director of the Hue Music Academy and general director of the program, said the event, which will saw the participation of artists throughout the country, is expected to bring different emotions to Hanoi audiences. 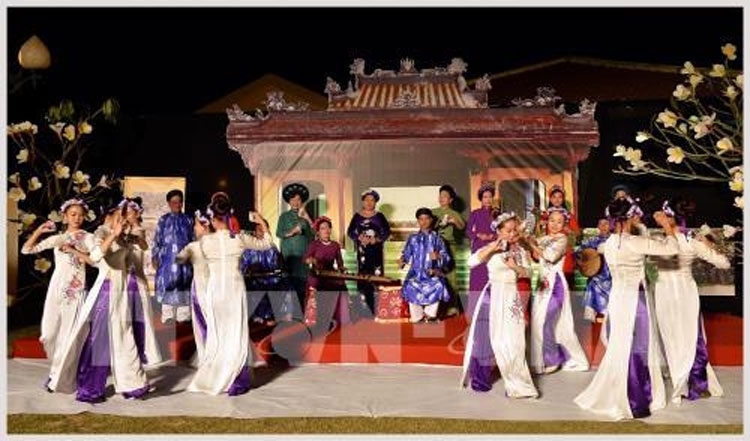 Traditional folk melody like “Ho mai nhi”, “Ho mai sap”, “Quynh tuong” and “Ly con sao” will be featured at the event by artists from the Hue Royal Traditional Arts Theatre. 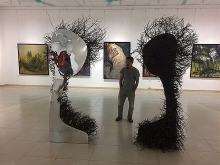 Additional, romantic sings about love and the Hue ancient capital composed by famous musicians such Nguyen Van Thuong, Tran Hoan, Minh Ky, Duong Thieu Tuoc, and Trinh Cong Son, will be also performed at the program. The event will bring together well-known singers including Bao Yen, Van Khanh, Quang Linh, Dang Duong, Lo Thuy among other, who are famous for songs about Hue.